Alex Copeland took a deep breath, scanned his surroundings, and exhaled. Copeland, a star on Yale’s basketball team, was just asked about what his experiences over the last two hours at Gillette Children's Specialty Healthcare Hospital meant to him. Wide-eyed and smiling, Copeland started speaking, then paused. "It's really hard for me to put into words." On Friday, April 5th, the nation's top senior basketball players gathered at US Bank Stadium in Minneapolis, MN for the Reese's College All-Star game. The honor of being selected to the event came with a few responsibilities, including a visit to the hospital. A visit that ended up being truly inspiring. 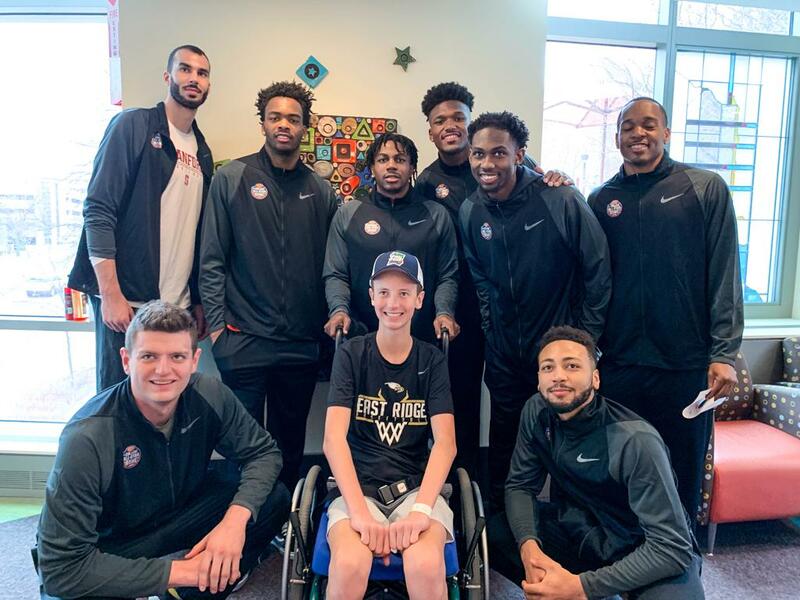 On Thursday, the Reese's All-Stars spent their morning visiting patients and families at Gillette Children's Hospital in St. Paul, Minnesota—a hospital that is passionate and devoted to caring for kids who have disabilities and complex medical conditions. Most of the patients at Gillette are battling life-threatening conditions and spending extended time at the hospital. Sure, being invited to the game was a tremendous honor. But after watching the players interact with the patients and families, something was immediately clear. The hospital visit was far more important than any game. The athletes toured the hospital in groups of three. Copeland was joined by Buffalo senior, Nick Perkins and Quinnipiac senior, Cameron Young. The three made a terrific trio. They handed out gifts and toys and, most simply, just spent quality time interacting with the families and patients. After touring the units, the players made their way outside to the basketball hoop. The festivities continued, culminating with the highlight of the day: Stanford senior, Josh Sharma, all 7-feet of him, helping a young girl without arms use her legs to dunk. NCAA all-time leading scorer Chris Clemons showed off his wheelchair skills after taking lessons from an adoring patient. As Copeland gathered his words and continued, he touched on the most impactful, humbling part of the visit. "The thing that struck me was everyone is looking at players and acting like we're something special," Copeland said. "To be honest, all the people who work there, all of the families there, they're the real heroes. They’re the ones who matter." Perkins, a 6-foot-8, 225-pound forward, doubled down on Copeland's take and admitted he gained a new perspective. "Everyday when you wake up, you think about how hard your life is," Perkins said. "We think, I have to get up and go to practice and do all of these things, but really, these are the people who the real hard life,” he said. “The parents, for them to come in with a smile on their faces and be able to operate at a high level every day, that's high character people. That's people who really change the world." The patients and families were thrilled to welcome the players into their rooms, but the staff was equally as inviting. 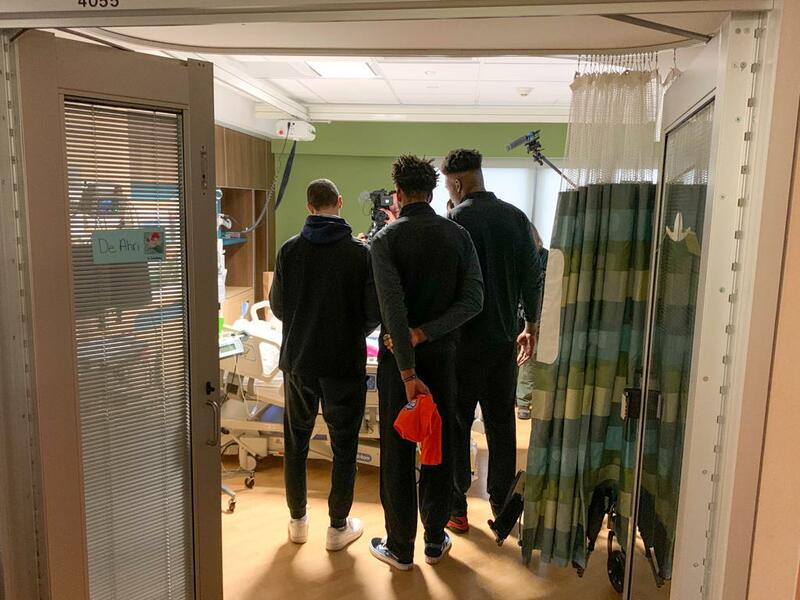 They briefed the players about specific rules upon entering each patient's room, and also gave them some insight that stuck with Copeland after the tour. "One of the women told us they have patients strengths just like we have our strengths, and they have their weaknesses just like we have our weaknesses," Copeland said. "So, to be able to meet them and to see how positive they were, and how much joy they had in the face of some difficult struggles, it was really inspiring." Perkins said making a difference in the community will definitely be an ongoing trend for him, and he said that visiting Gillette was a friendly reminder about his blessings. “Doing these visits helps you appreciate your life and what you go through on the daily," Perkins said. "I love doing stuff like this. It's really humbling. I can definitely see myself doing something like this again." 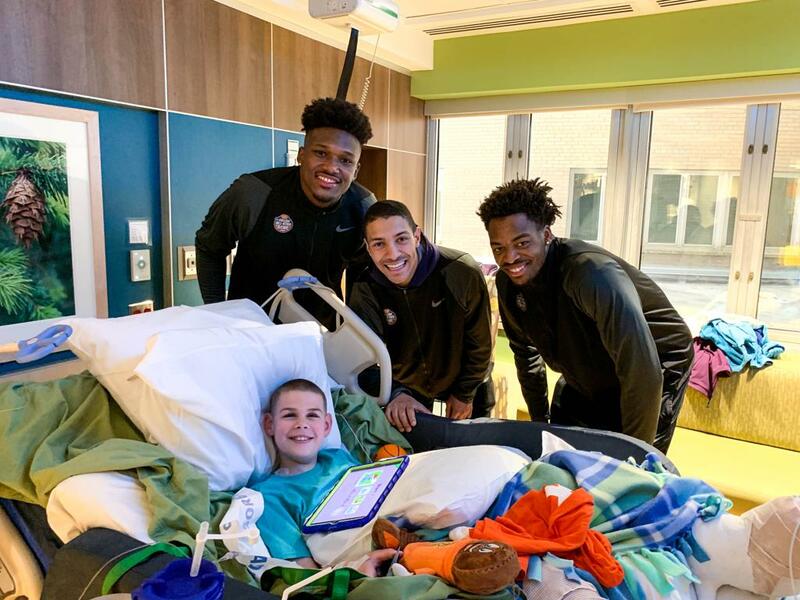 The Gillette hospital community relies on events like this to enhance the lives of their patients and families, and the support from the NCAA and the Reese’s All-Stars does not go unnoticed. Copeland also said he plans to do more community work, and noted how impressed he was with the staff. Hard work and focus is a necessity to excel in sports, and he saw the exact same traits within the Gillette workforce. "It was really the dedication of the people working here," Copeland noted. "You can see how engaged everyone was, and how much they cared and love for the kids." As Copeland accurately said before, the workers and parents are the real heroes, and their work leads to an improved quality of life for countless patients. Perspective is crucial in these types of situations, and seeing it first-hand left a lasting impact on Copeland and his fellow all-stars. "It's that it's important to realize that these people are the ones doing great work in our communities and are the ones that matter," said Copeland. "They should be getting a lot more recognition." Alec Kinsky was born in Rochester, New York, but was raised in St. Paul, MInnesota. 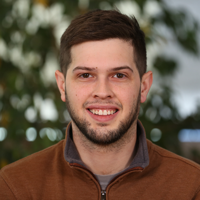 He has worked at SportsEngine since 2011, working primarily in the sports of basketball. For the past five years, Alec has managed the grassroots basketball coverage of D1Circuit.com and PrepCircuit.com. Alec lives in a Minneapolis suburb with his Fiance, his son Camden and three shih tzus.